These doors also look great against the skirting of a house, or even on a shelf. The door trim has a keyhole slot on the back to attach to any surface. Please allow me up to 2 weeks to have construction finished and the door packaged and ready to mail! This is a good faith estimate of time needed to make your item. Depending on how busy I am, it might be quicker, or it could be a bit longer. Convo me if you're concerned about meeting a specific deadline. Love it...thank you! 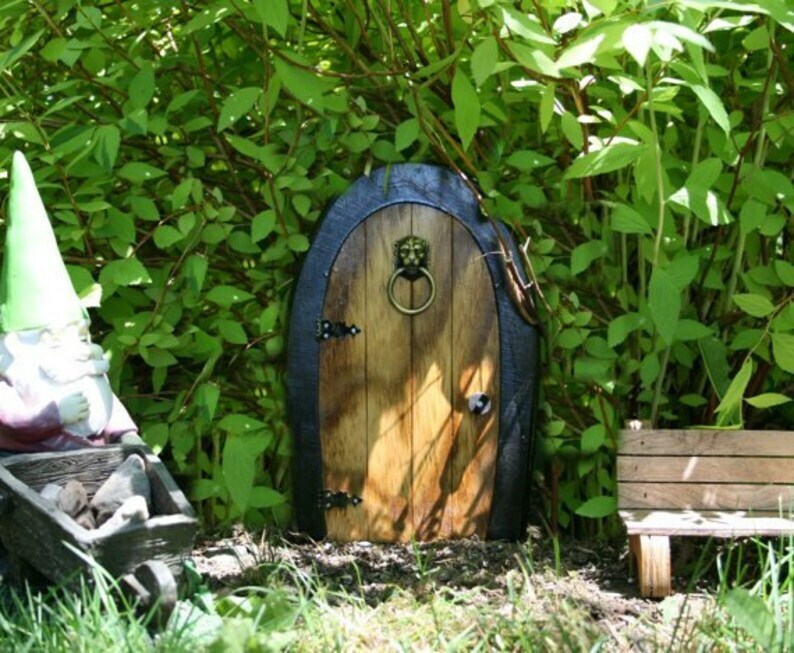 Very nice Gnome door. Wonderful for outside time. Kido really enjoys the larger door. Arrived in good time. Just as pictured, though no apparent sealer to make it durable for outdoor use. No worries... I will add a couple coats of Polyurethane to protect it. Looking forward to installing on one of my gnome village homes. Good communication and beautiful work. Lots of small details and a solid construction.